February is National Cancer Prevention Month. Below are a few tips to help you and your family take precautions against the potentially life-threatening disease. Tobacco should never be used – Any form of tobacco use can be harmful for your body and cause various forms of cancer. If you are around or live with someone who smokes, you’re inhaling second-hand smoke, which increases your risk of lung cancer. If you need help quitting, talk to your doctor or human resources department to see what resources are available to you. 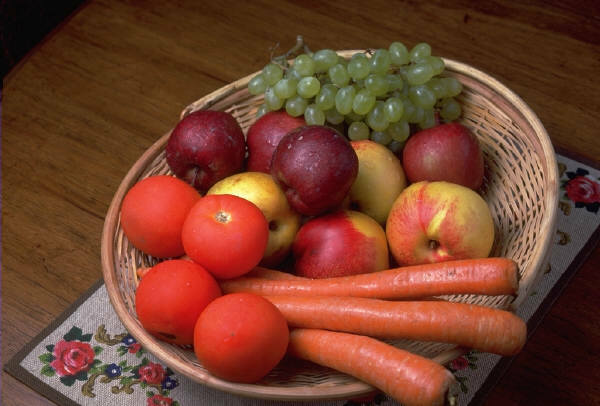 Make the right food selection – Eating a healthy diet can’t guarantee cancer prevention but it might reduce your risk. Incorporating fruits, vegetables and whole grains into your daily eating plan will provide your body with anti-oxidants. Limiting your fat intake, especially those that are in meat form, is a good idea. Both males and females should also consider limiting alcohol consumption to minimize the risk of certain liver, kidney, lung and colon cancers. Keep a healthy waist line and keep active – Try to get 30 minutes of physical activity most days of the week. Maintaining a healthy weight may also reduce your chances for certain types of cancers. Beware of the sun – If you’re going to be in the sun make sure you take precaution. This is especially true during high-peak, which is the hours from 10:00 a.m. to 4:00 p.m. when the sun is the strongest. Make sure to wear sunscreen and sun protective-clothing to cover up areas of your body. Tanning beds and sunlamps can put your skin at the same risk, so those should be avoided as well. Vaccinations – two of the recommended vaccinations are the Hepatitis B and Human Papillomavirus (HPV). Having these two vaccinations can reduce your chances of getting certain types of cancers. ← Whatever Happened to Managed Care?